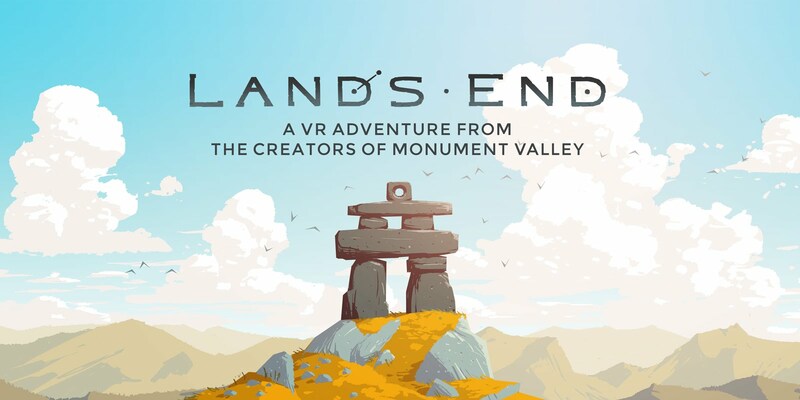 Land’s End is a great game for introduction into Virtual Reality. It is game that allows you to explore a world made up of cartoon-style graphics. 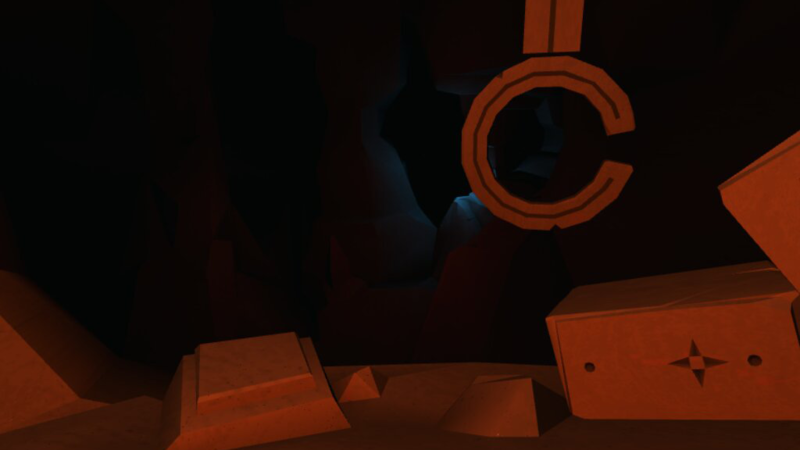 The object is to explore each level by completing fairly simple puzzles to progress and ultimately find your way out of the constructed world for that level. It also utilizes a pretty fun gimmick to simulate moving objects with your mind. The worlds in Land’s End are made up of islands surrounded by vast bodies of water and by caves. The graphics are fairly simplistic but seem designed to really emphasize the 3-D viewing VR offers. 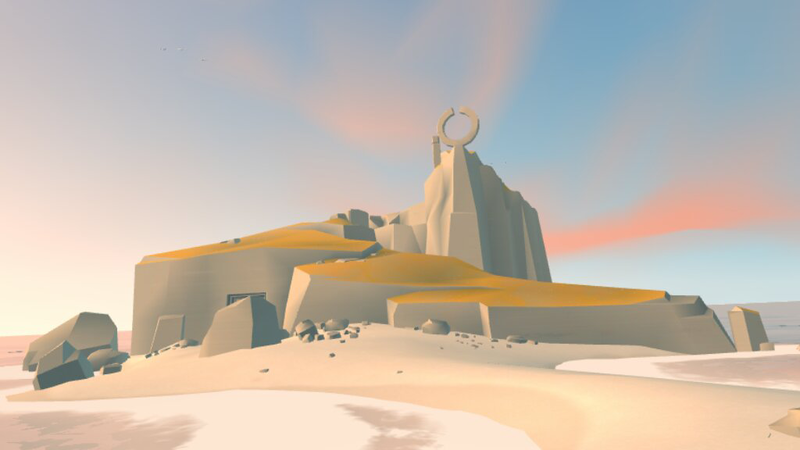 The game utilizes waypoint navigation by having the user focus on the next closest waypoint until it moves you in a straight line from your current position to the waypoint. As a result, this game will not have a negative effect on your stomach. You can travel back and forth in each level but, for the most part, there is one direction of travel to continue through the game. There are puzzles along the way that must be solved to progress through the level. 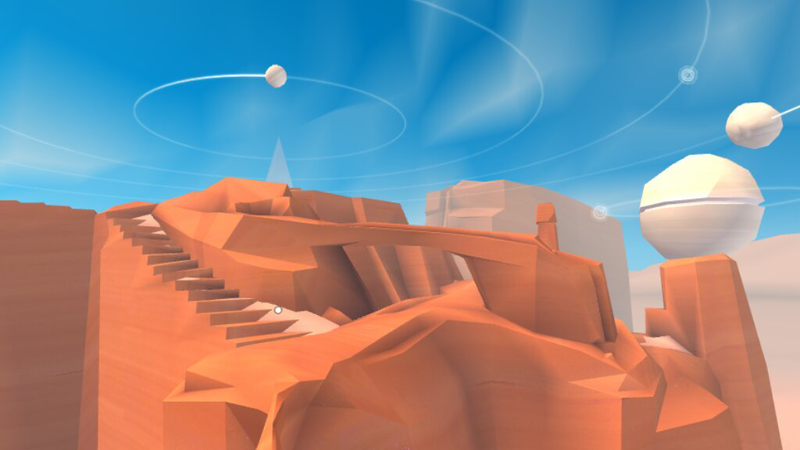 The puzzles consist of points on rocks within your view that you must connect with a line. To create the line, you stare at the first point and then connect to the next point with your gaze.  This is repeated with all of the points until the final connection is made. Most of these puzzles are fairly straightforward and creating the connection between each point is simple. As the levels progress, these connections can get tricky enough where you have to stop and think about the most efficient way to create the connections. The more entertaining gimmick comes when you have to move large rocks that contain points in a way so you can make the required line connections. There are specific rocks you can move by focusing on a certain area of the rock to pick it up. Then, by moving your head around you will also be moving the rock around in midair, which gives you the impression of being able to move things with your mind. In my opinion, this is the best part of the game. Currently, the game has five levels. The first two levels are very easy and you get the impression this game is best suited as an easy demo for VR. The third level finally provides some challenge where you have to spend a little more time figuring out the puzzles. The difficulty increases a little more with the fourth and fifth level. While you may feel disappointed with purchasing the game in the first two levels, the remaining levels make the purchase worth it. The game could become a must-buy if there was a future update with more increasingly difficult levels. However, Land’s End is definitely fun in its current state based on the scenic worlds it takes you to and the mind control-movement aspect of the game.